Create slick and stylish hair with industrial-strength hold! 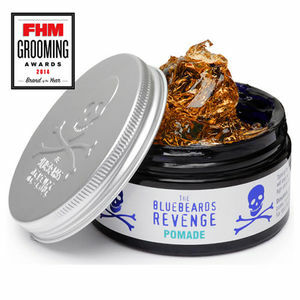 The Bluebeards Revenge Pomade delivers an ultimate hold that tames hair—it controls frizz and sharpens up your clients' looks to an exceptional standard. Hair will look slick, structured and sharp, with a high-shine finish that banishes the scruffy and the unkempt. Lacklustre hair should beware—this product will work its magic all day and all night! Roll-on deodorant with the classic Bluebeards scent and an anti-microbial effect that neutralises body odour.